Kinetic comes from the Greek word kinētikos, meaning “of motion,” which in turn traces to the verb kinein, meaning “to move.” If you have been a friend of the blog since G.O commandeered my every thought, you will have likely come across my discussions about how music moves through him as he performs. Even if he would consciously try to prevent it, I think it would be fruitless. When I watch G.O perform, music becomes as visible and tangible as it is auditory moving through his body and exiting in a symphony of sound that is harmonious and full of passion. 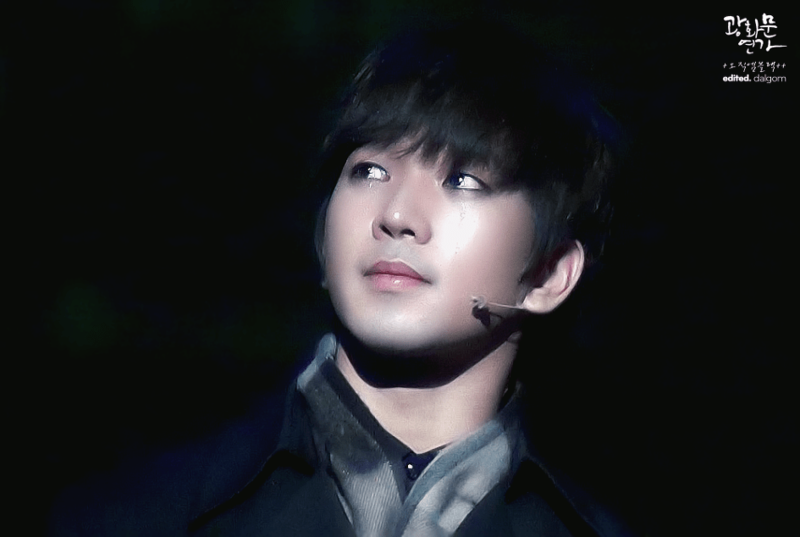 Categories: G.O Military Discharge, MBLAQ Musings, The G.O Files | Tags: G.O on Immortal Song 2, G.O on Korean Singing Competition Shows, G.O on stage, G.O on Television, Immortal Song 2, 정병희, 지오, Jung Byung Hee, Jung Byung Hee images, Korean entertainment, Korean Reality Television, Korean Singing Competition Shows, Korean Variety, MBLAQ G.O, MBLAQ G.O images, MBLAQ G.O on Singing Competition Shows, MBLAQ G.O on Stage, MBLAQ G.O on Television, Song Chang Sik | Permalink. If my little Soldier Star Calendar app is correct, I think today may be the day G.O will officially move up in rank to 병장 or, Sergeant!! I am so proud of him! Equally exciting is the fact that he now has only 200 days remaining in his military service. The excitement and anticipation are growing daily, can you feel it? He will be back before we know it. Hopefully the forthcoming new chapter in G.O’s ever-evolving career will best all previous ones with a happiness and success that knows no bounds. Hang in there, G.Oddesses, 200 days are going to fly, trust me! Congrats to our charming Army Sergeant! 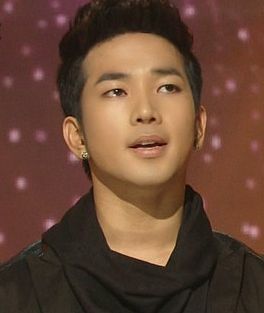 Categories: G.O Military Discharge, MBLAQ Musings, The G.O Files | Tags: G.O on Immortal Song 2, G.O on Korean Singing Competition Shows, G.O on Television, Immortal Song 2, 정병희, 지오, Jung Byung Hee, Jung Byung Hee images, Korean entertainment, Korean Singing Competition Shows, Korean Variety, MBLAQ G.O, MBLAQ G.O images, MBLAQ G.O On Korean Singing Competition Shows, MBLAQ G.O on Television, The ABC's of G.O | Permalink. To me, when an artist wants to use his art to touch the deepest part of people, to make them feel something, that is an act of absolute intimacy. Now before you get all squeamish thinking this post is going to get all PG-13 or R-rated, it will not. I do not mean that kind of intimacy. Most of us are guarded in our emotions and hesitant to let people in, or let people get close. Music though has a way of circumventing those defenses. However, it usually takes a profound piece of music to accomplish it and an artist adept in interpreting such. Without an honest guide who is filled with depth and emotion, music can be come a cacophony of unorganized sound unable to connect with the listener. As you all know, I believe G.O is an honest guide. One filled with depth and emotion who is able to connect with all who will listen. 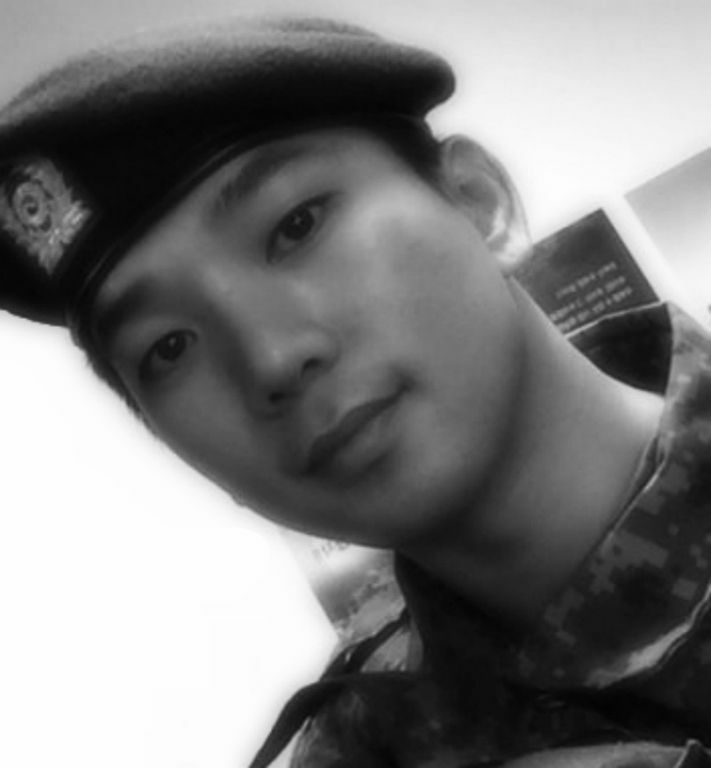 I knew going into this project, this countdown of the days G.O was away fulfilling his mandatory military service, that he would provide me with more than enough moments to share of his talent, creativity, humor, and intellect than days he had to serve. The best part of this journey is when I look at a blank entry in my countdown log and have a moment of anxiety thinking what do I write about today? Without fail, something always arrives to the doorstep of my mind…or perhaps heart, and another day sees a little bit more of G.O’s magic. A couple days ago I introduced another little sub-category to the mix which I labeled Impromptu Melodies. The one I have for today can also easily be stored on the Vocal Virtuosity shelf. It is Thursday so we can throwback a little here to August 2011 and an impromptu moment on 도전 1000곡 [1000 Song Challenge] with our vocal virtuoso and a little Mona Lisa. 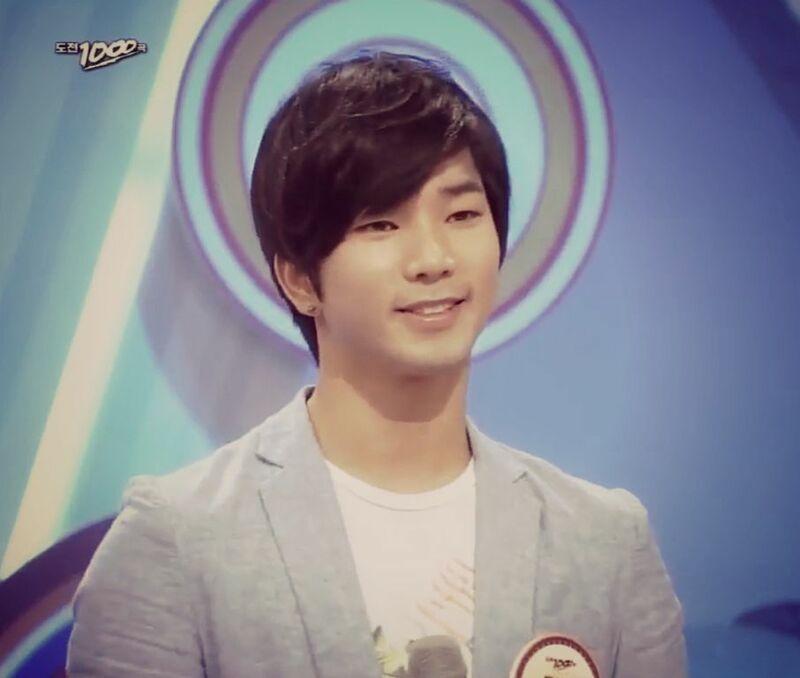 Categories: G.O Military Discharge, MBLAQ Musings, The G.O Files | Tags: 1000 Song Challenge, 1000 Songs, G.O, G.O images, G.O on Korean Singing Competition Shows, G.O on Television, G.O's Military Service, Jung Byung Hee, Jung Byung Hee images, Korean Singing Competition Shows, MBLAQ G.O, MBLAQ G.O images, MBLAQ G.O on Television, MBLAQ Mona Lisa, MBLAQ Mona Lisa Era, mmortal Song 2 | Permalink. 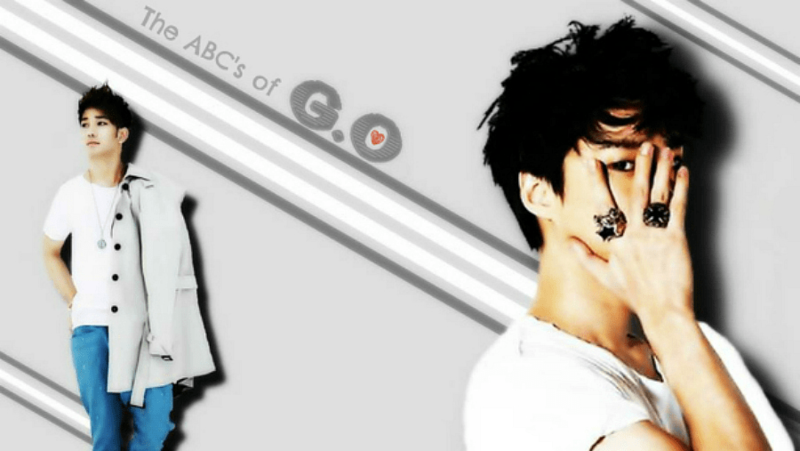 I have often written here repeatedly that I firmly believe that when G.O chooses a song to cover, it will be a song that resonates with him or holds special meaning. I myself have pondered often as to what it was in a song that captures him. Is it the melody? Is it the lyrics? A little of both? On his birthday this past 6 November, he opened a chatroom in MBLAQ’s Daum Cafe and answered that question. Categories: G.O Military Discharge, MBLAQ Musings, The G.O Files | Tags: G.O, G.O images, G.O on Music Singing Competition Shows, G.O on Television, G.O on Variety Shows, G.O's Military Service, Gwanghwamun Sonata, Gwanghwamun Sonata Musical, Jung Byung Hee, Jung Byung Hee images, King of Masked Singer, Korean Musical Theater, Korean Singing Competition Shows, Lee Moon Sae, MBLAQ G.O, MBLAQ G.O images, MBLAQ G.O on Television, MBLAQ G.O on Variety Shows, Musical Actor G.O | Permalink. 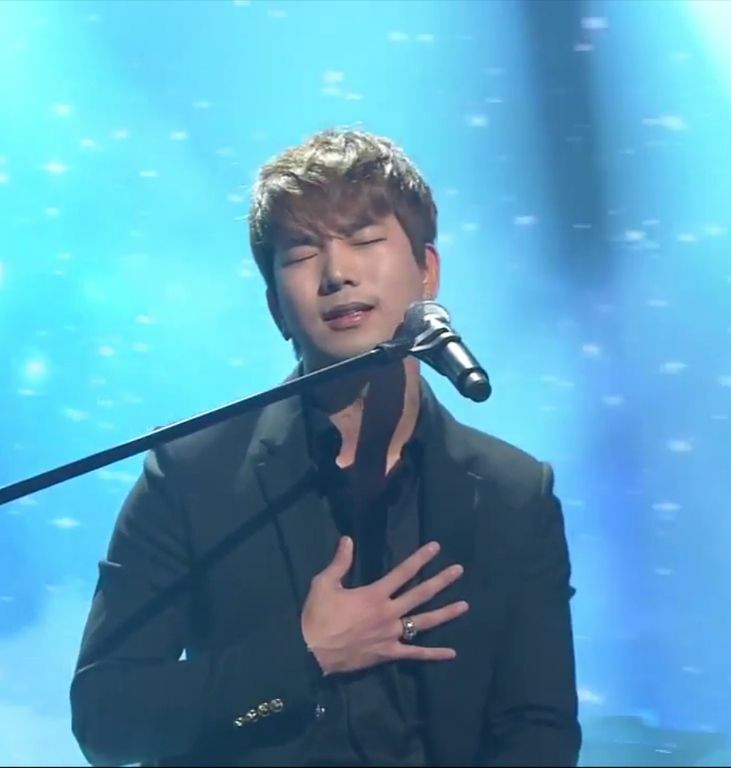 On 9 November 2013, G.O made his final appearance on Immortal Song 2 and sang Kim Jung Soo’s touching 내마음 당신 곁으로 [My Heart is With You]. I cannot tell if it is simply a matter of not catching my breath when I watch G.O sing these emotional ballads or if it is simply that I hold my breath for fear of losing grip of my own emotions hearing the heartache in his voice when he sings. I would think that by now, I would have the strength to withstand his attack on my senses but in truth, the more I listen to and watch him, the more defenseless I become. Categories: G.O Military Discharge, MBLAQ Musings, The G.O Files | Tags: G.O, G.O images, G.O on Immortal Song 2, G.O on Television, G.O's Military Service, Immortal Song 2, Jung Byung Hee, Jung Byung Hee images, Korean Singing Competition Shows, Korean Variety, Korean Variety & Reality Shows, Korean Variety Shows, MBLAQ G.O, MBLAQ G.O images, MBLAQ G.O on Television | Permalink.